HONG KONG (June 15, 2017) – MLex Market Insight today received the top prizes for business reporting and breaking news at the prestigious annual awards ceremony of the Society of Publishers in Asia (SOPA). The SOPA Awards recognize the world's best reporting on Asia and are the region's leading journalism prize. MLex reporter Phoebe Seers won the top honor in the categories of "Excellence in Business Journalism" and "The Scoop Award" for her groundbreaking series exposing a corruption scandal at Indonesian power company MAXpower. The series revealed a massive pattern of bribery and other wrongdoing involving senior officials at the company, in which Standard Chartered Bank and its private equity arm hold a controlling stake. The US Department of Justice is investigating the allegations. 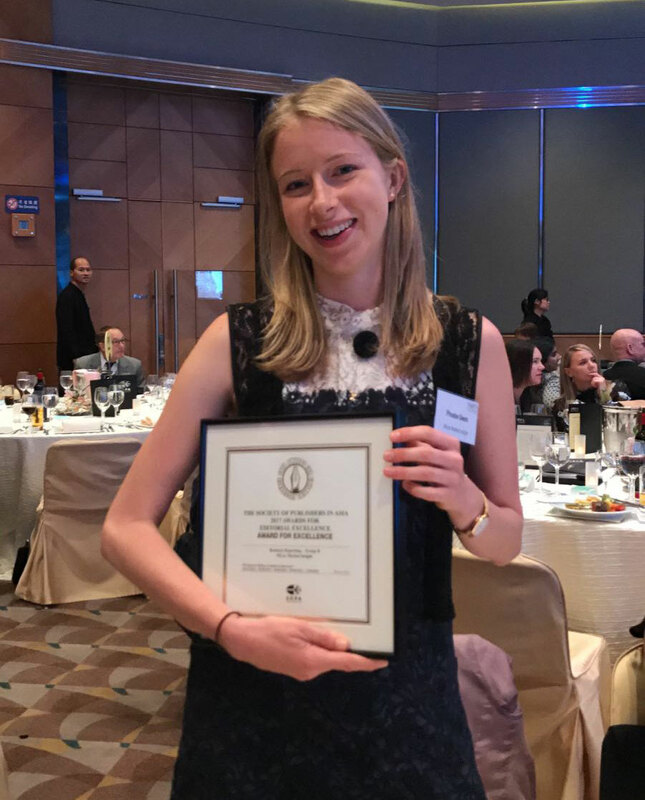 "The award is recognition of the great work and persistence of Phoebe in pursuing this important story, and to the editorial leadership in our Hong Kong bureau. ", said Rob McLeod, MLex's Editor-in-Chief. The MAXpower corruption exposé by Seers, which began in April 2016, went unmatched by other global news organizations for 155 days before The Wall Street Journal and the Financial Times reported on the scandal on Sept. 22, 2016, citing MLex as the first media outlet to report the story. Since the revelations by MLex, a number of senior MAXpower executives have resigned or been dismissed, including the company's CEO, Greg Karpinski. "The kind of in-depth, investigative reporting that lies behind a story like the MAXpower scandal requires persistence, patience and a commitment to getting every detail right, because so much is at stake in a story of this kind," said David Plott, MLex's Asia managing editor. "Phoebe's reporting demonstrates MLex's commitment to the highest standards of journalism and our determination to uncover corporate wrongdoing wherever it occurs." MLex Market Insight is a global news service focused on regulatory risk and is part of the LexisNexis group. The service has bureaux in 13 cities in 10 countries. You can read Phoebe Seers' coverage here. You can listen to a podcast in which Phoebe speaks about the MAXPower scandal here.